A week off from football, but the tour Grand Slams were in full swing with the Australian Open. And we have a first time Grand Slam event winner in Angelique Kerber! The 28-year-old German veteran (by tennis standards) won her first Slam final, defeating the suddenly vincible Serena Williams in a three-set thriller final. 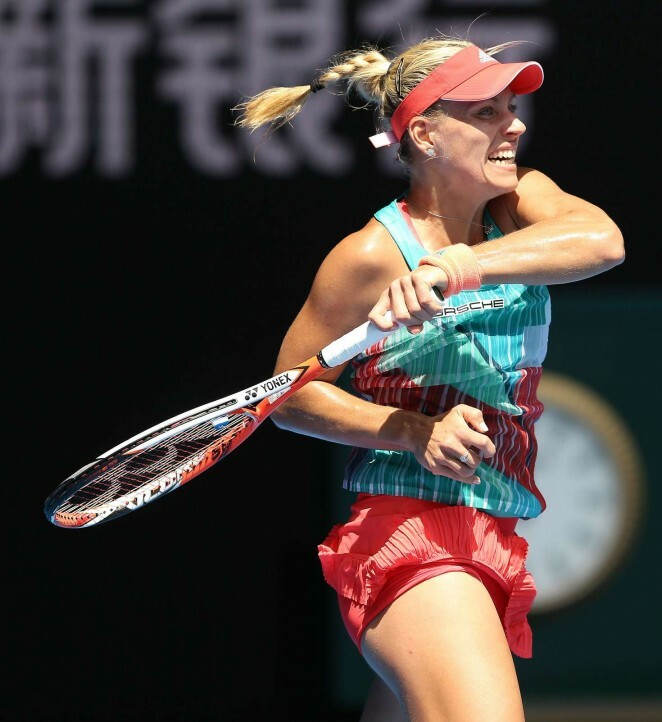 Kerber even fought off a match point in the first round, the round she was eliminated in Australia in 2015. Kerber becomes the first German to win the event since Steffi Graf in 1994 and moves to her highest world ranking at number 2. Can she complete the ladies Grand Slam? Not likely. But to win 'em all, you have to win the first, and Ms. Kerber did just that, and takes our Sportswoman of the Week!